As a toddler, Orchid and her father barely escaped Japan during the Doolittle Raid of WWII. 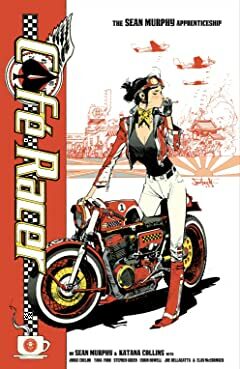 Years later, Orchid is still an outcast as she speeds her way into London's Cafe Racer motorcycle society. Defying both racial and sexist stereotypes, the half-Japanese teenager is unbeatable in a race--much to the disappointment of her father, who forbids her from riding his mysterious motorcycle. After discovering friendship in the most unexpected places, she soon uncovers the truth of the bike, along with its connection to the disappearance of her mother in pre-war Japan. 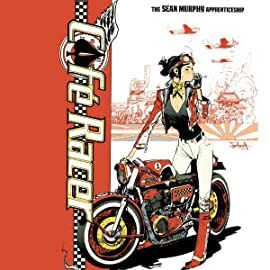 Cafe Racer is a story told through seven vignettes, also including extra features such as pencils, concept art, and other behind the scenes artwork. 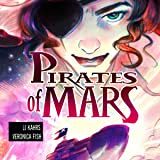 Captain Lovelace and her crew travel the furthest reaches of space in an ongoing quest of interplanetary pirate hijinks in this beautifully drawn dramatically (and sometimes hilariously) written epic in the spirit of Flash Gordon and the classic adventure tales! 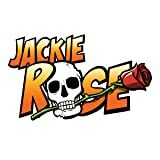 "Jackie Rose" is an ongoing series of graphic novels, staring the adventurous Jackie Rose. 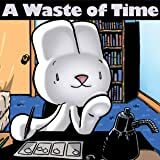 The series is set in an alternate 1940s and is filled with action, adventure, touching stories of family and friendship, and a healthy dose of sky pirates! Twilight Monk is an Epic, Kung-Fu, Fantasy comic set in an imaginative world. 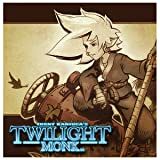 Three orphan monks, a banished swordsman, and a turtle are on a mission to cure a curse, save their kidnapped friend, get their youth back, and save the world all while fighting off unrelenting bounty hunters.